Additional Description: The marker is on top of the raised platform with two sets of stairs. 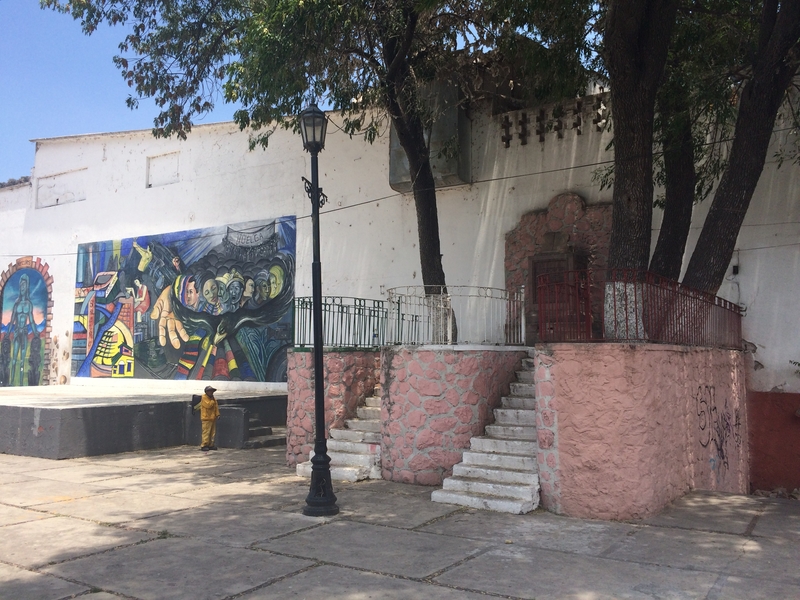 The metal railing around the monument was painted red, green and white (the colors of the Mexican flag) at one time. Note the nearby murals in the park. Submitted: July 7, 2017, by J. Makali Bruton of Querétaro, Mexico.